One Potato, Two Potato is a wonderful chant for young children to learn to count and rhyme. Ask your child(ren) to put their hands in fists while you (or another child) counts off, tapping a fist with theirs for each number. Alternative song is "One Tomato, Two Tomato." Enjoy while jumping rope, clapping or singing for wonderful Pre-K wordplay! 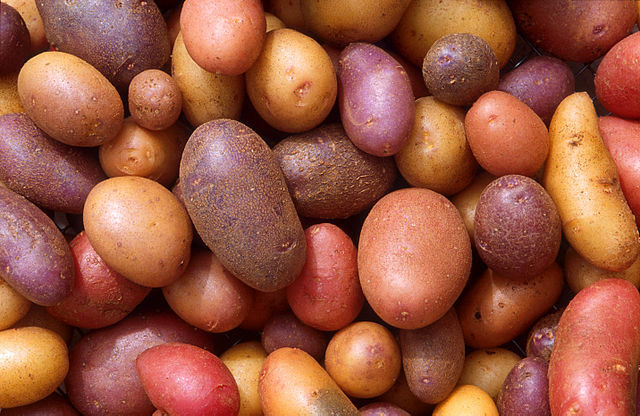 Eight potatoes, nine potatoes, ten potatoes, all. Eight potatoes, nine potatoes, ten potatoes, all! Add One Potato, Two Potato to your own personal library.